From patios, staircases, fountains, and fireplaces to fire pits, pavers, and retaining walls, hardscaping can put that final touch on a yard, common area, or even a front walkway that brings everything together. 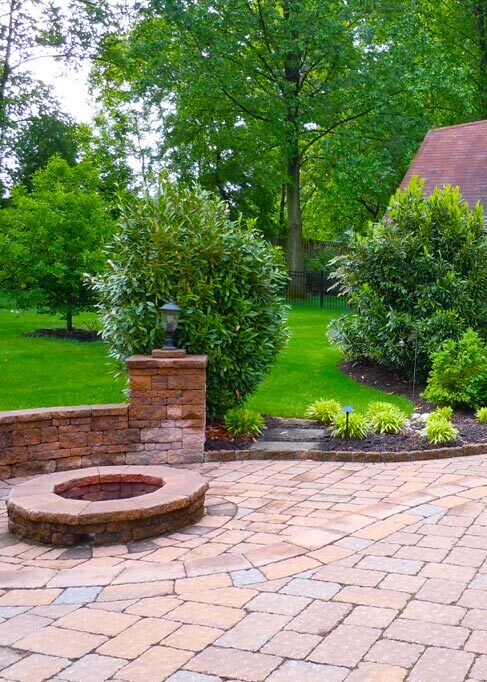 Anastasi Landscaping has a long history of incorporating hardscaping in with beautiful landscaping to bring function and style to a yard or proerty. Just imagine a walking path through your new beautiful garden, or a relaxing patio and barbecue area to entertain friends. Hardscaping can bring years of use to a property while increasing the resale value. With budget always a concern, we understand that a dream yard or property isn't always achieved over a few days. We can build your vision in steps over several seasons or even years to work within a budget without sacrificing key components of the new property. Whether we are adding to a commercial property or even starting from scratch in a new residential yard, Anastasi Landscaping will boost curb appeal, increase property value, and help you to enjoy the outdoors. With our years of experience, our professionals know how to care for your property. We pride ourselves on always delivering consistent, quality hardscaping and landscaping services. Contact us today for a free estimate!